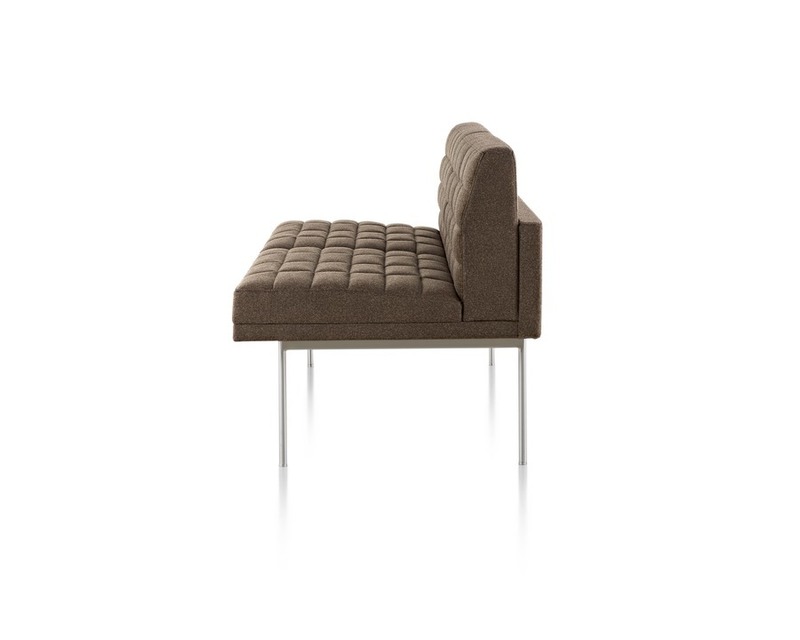 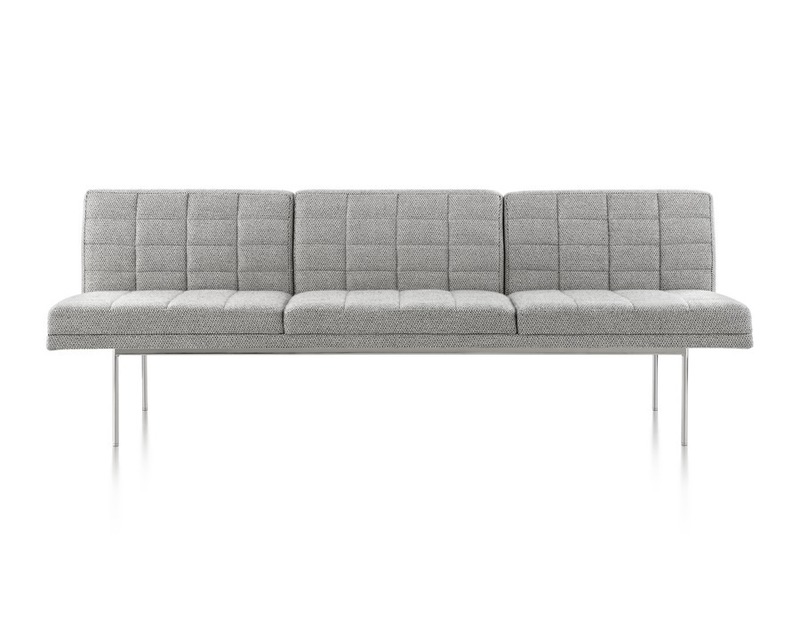 The elegant profile of this sofa by BassamFellows anchors a space without overpowering it. 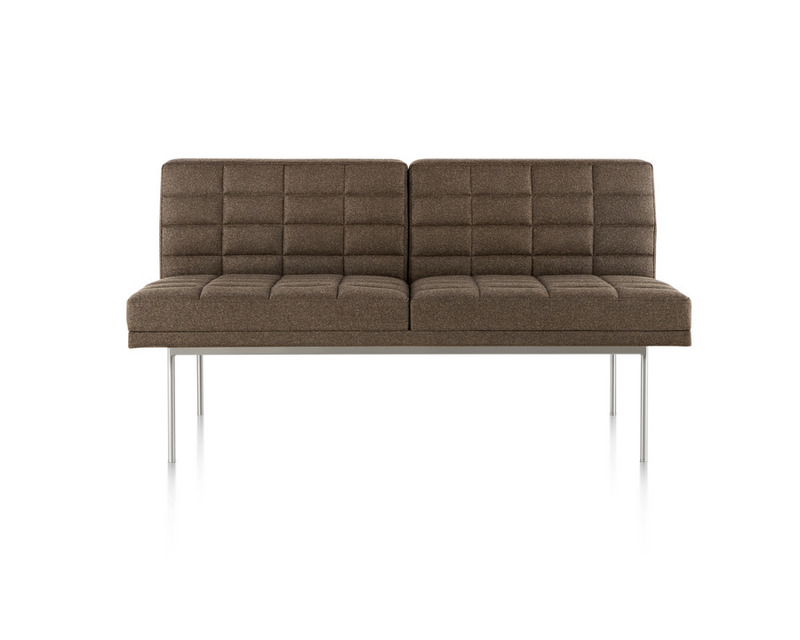 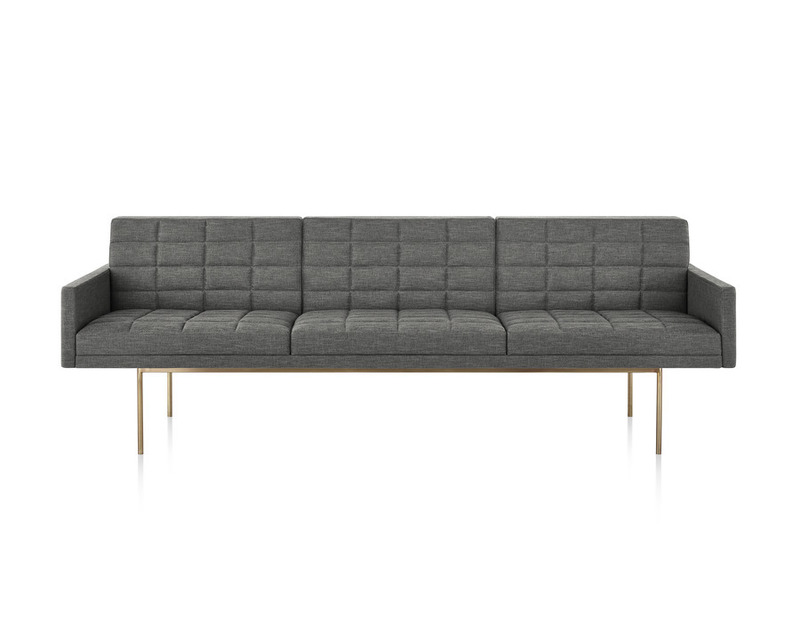 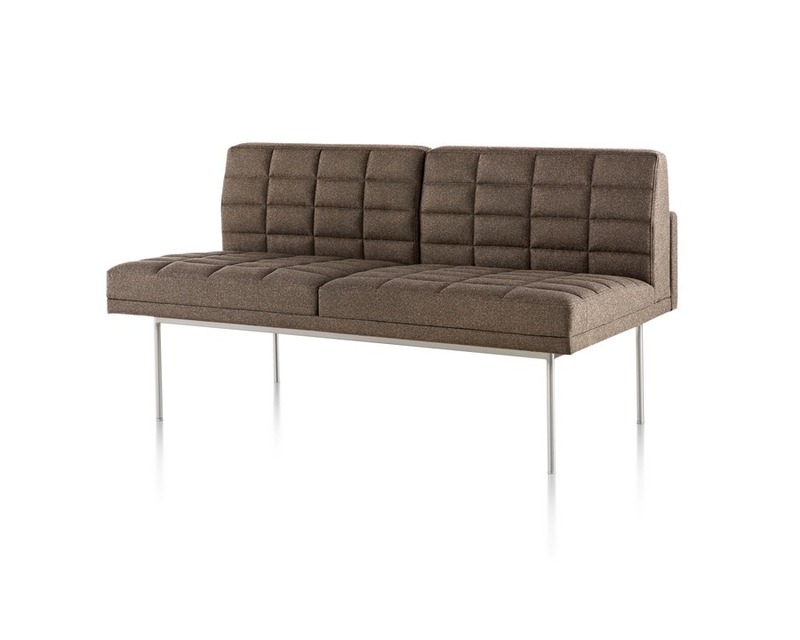 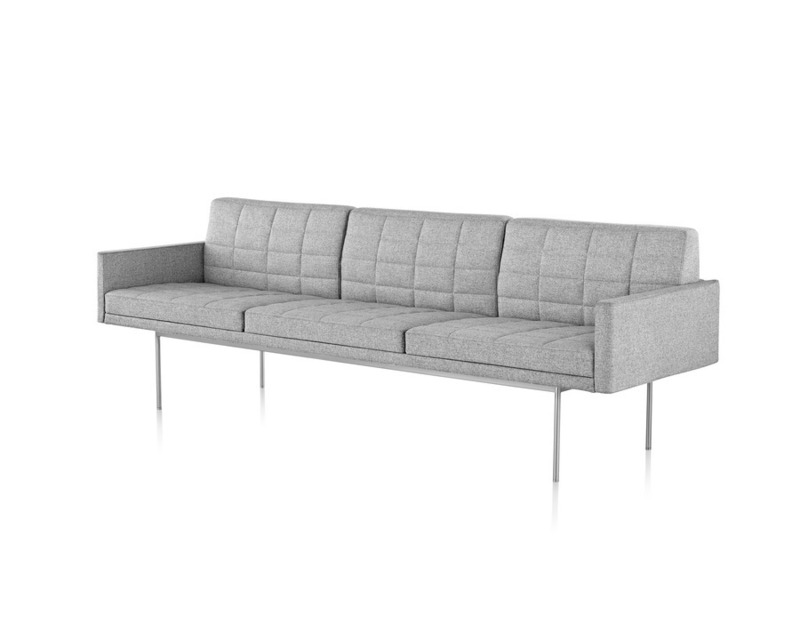 Slim steel legs, in a choice of metal finishes, support the sleek sofa, adding to the design's visible lightness. 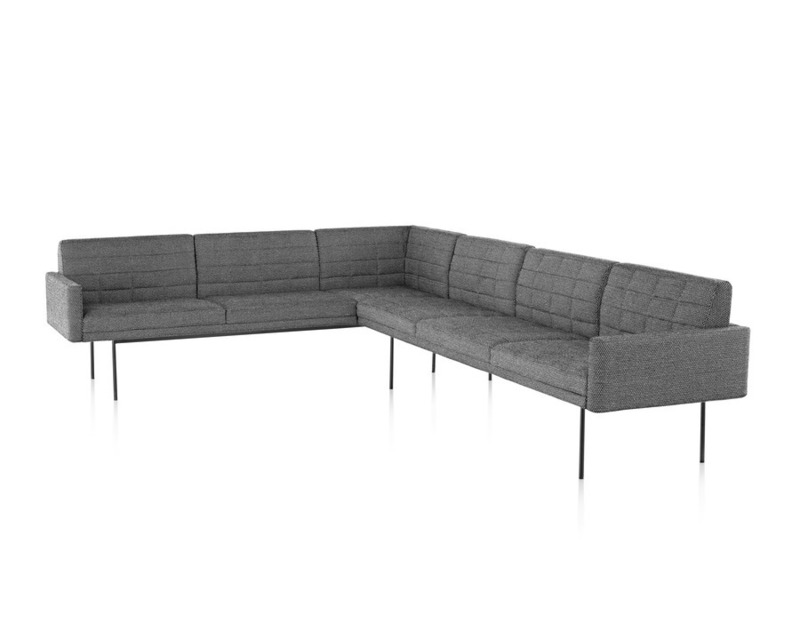 Available with or without arms, the sofa couples easily with other Tuxedo furnishings thanks to the series' modular grid design.